Berries, grapevine wreaths and the wonderful sights of the holidays. 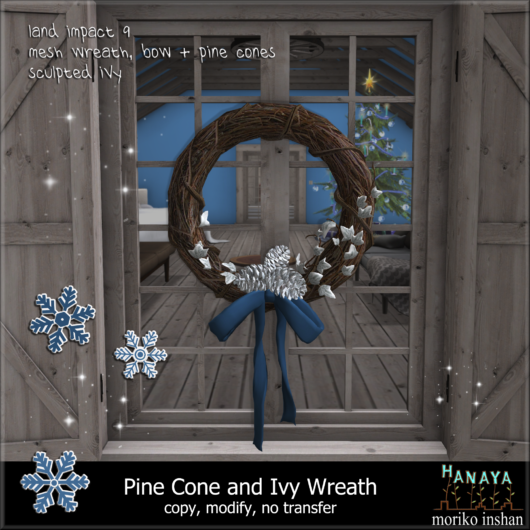 Whether you are looking for last minute decor items for your home, or a gift for a friend, these new -Hanaya- mesh products are just the thing. Since they contain no alpha textures, they work well mounted on a window or a door with glass. 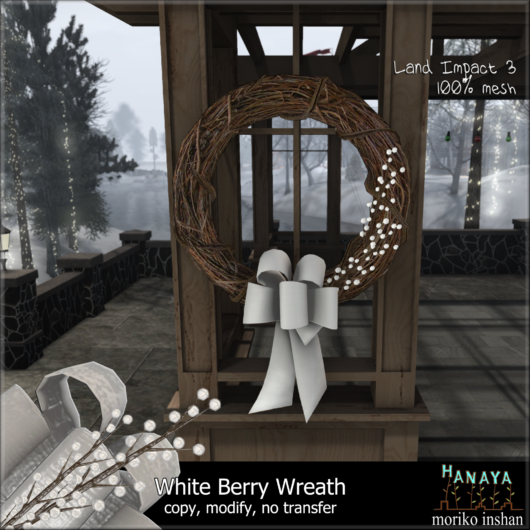 A mesh grapevine wreath with white berries and a festive bow at only 3 LI. Both the bow and berries are tintable, and an optional wall shadow is included. A simple vase holds a big bunch of red berry branches – a perfect focal point either indoors or outside. Mesh with a Land Impact of 5. Want a little bit of country decor? 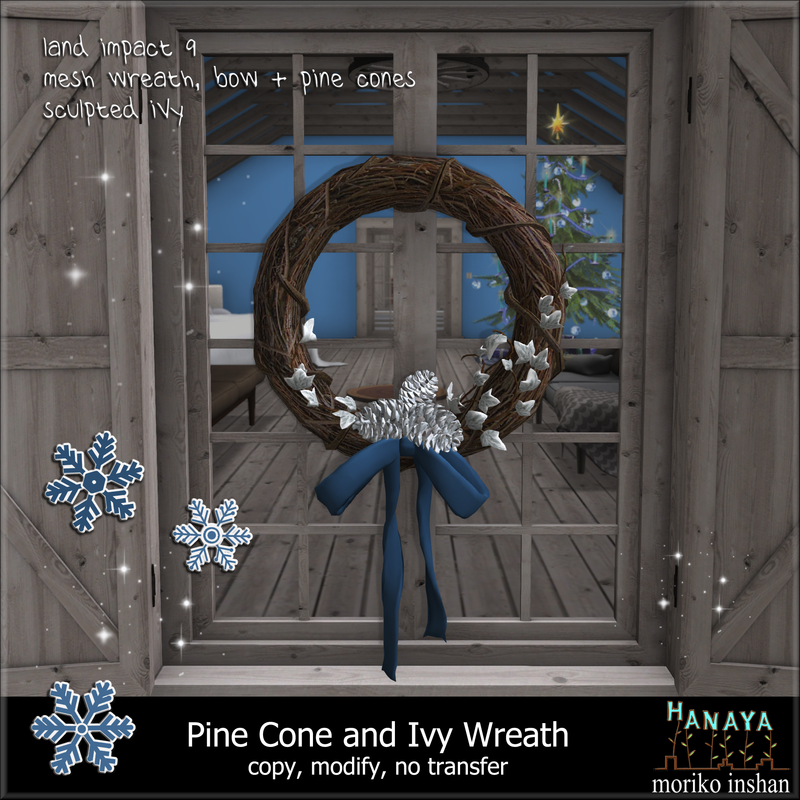 How about our Pine Cone and Ivy Wreath with a tintable bow, a snowy cluster of pine cones and frosty ivy? Land Impact of 9. If you wish, buy as gift at -Hanaya- in-world store or on the Second Life Marketplace. Winter and Christmas items are on display in our wintery outdoor shopping area. And if you have not done so already, look for our Peace on Earth hunt gift. Still need more shopping ideas? -Hanaya- Gift Cards in 6 denominations are also available both in-world and SL Marketplace and make a perfect stocking stuffer. 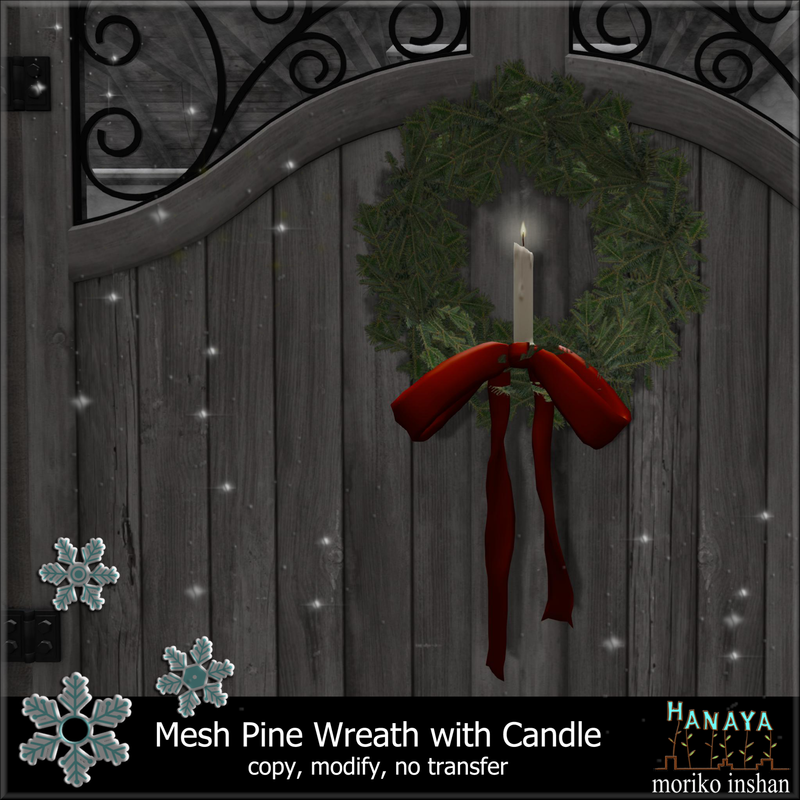 This entry was posted in Product Announcements and tagged Peace on Earth on December 22, 2013 by moriko. I am almost shocked, that what with taking a 6 month long break, we still have loyal friends and customers in our store VIP group. Thank you so much for all your IMs welcoming me back to being active in the store again. 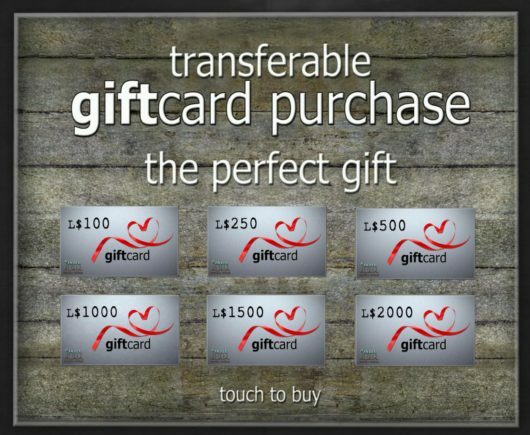 To show our appreciation, I thought instead of the usual monthly group gift, we would give away transferable L$ 500 gift cards, so you guys can get whatever you want in the store. Or re-gift the gift card to someone on your friends list. Please note that these special group-gift gift cards are limited to one per person, since they are transfer. I don’t want to encourage greedy little piggies, what with Christmas overeating coming … right? 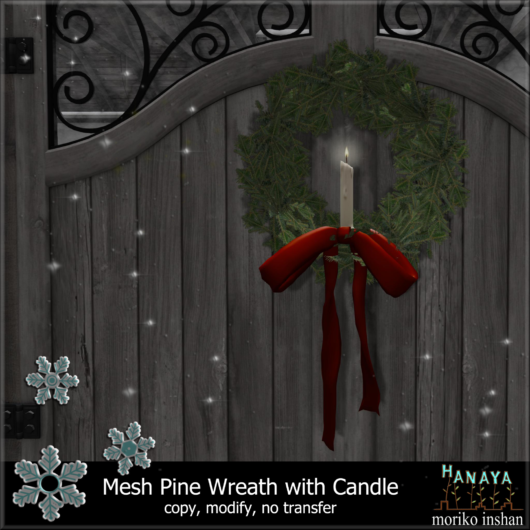 Oh, and there is a sort-of-new product out as well – a mesh remake of our popular Pine Wreath with Candle – that a bunch of you mesh-only addicts asked for. More meshy goodness coming in the New Year. Be happy and stay safe. This entry was posted in Freebies and Gifts, Product Announcements on December 13, 2013 by moriko. Thanks for taking time out from your busy day to read our news. First, we have 2 new products to help decorate your home and garden. They are available for purchase in-world, as well as on the Second Life Marketplace and on PrimBay. Both are handcrafted mesh created in our little North Pole workshop. As announced in the last post, we have finally implemented the CasperVend gift card system. 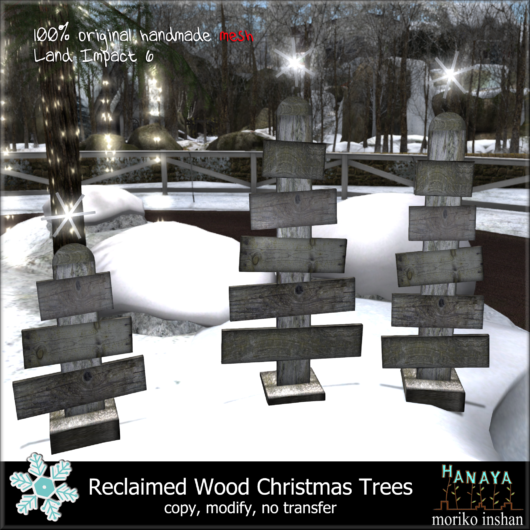 -Hanaya- Gift Cards are available both at our in-world store as well as on the Second Life Marketplace. A perfect gift for that someone special who you are not sure what to choose. 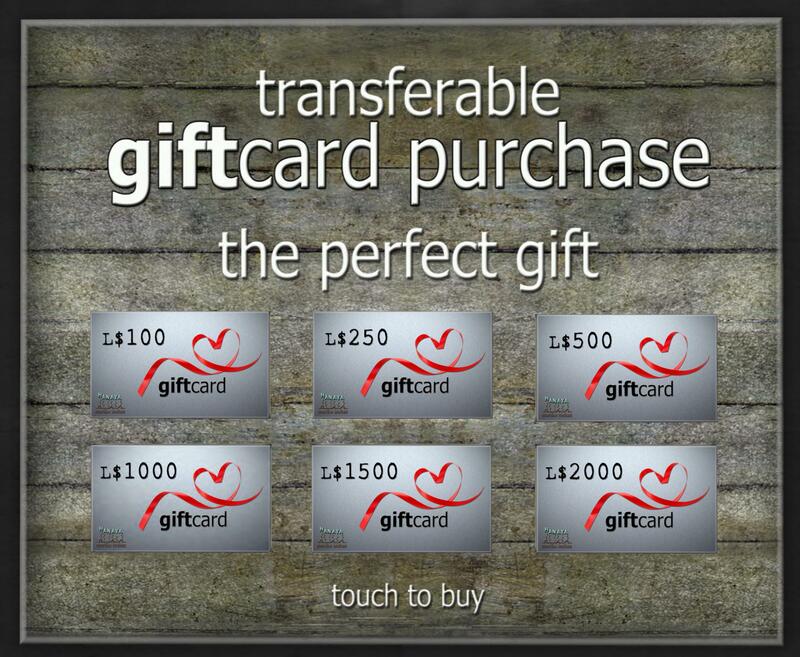 Gift Cards are available in 6 denominations, and can be topped-up in-store. And if you brave the crowds and visit us this month, don’t forget to look for the -Hanaya- Rideau Canal Skating Shack, our gift for the Peace on Earth Gridwide Hunt. The hint is “Skating is a peacefull wintertime activity”. This entry was posted in News, Product Announcements on December 11, 2013 by moriko. The -Hanaya- Home & Garden new store officially re-opened yesterday. After much moaning on my part, our new vendor system is implemented, and to show the build off, we are participating in the Peace on Earth grid-wide hunt. Our gift to the SL community is a 100% mesh Skating Shack, which gives mesh skates with a skating animation to your friends. The low LI version has a Land Impact of 6. Last, but not least. 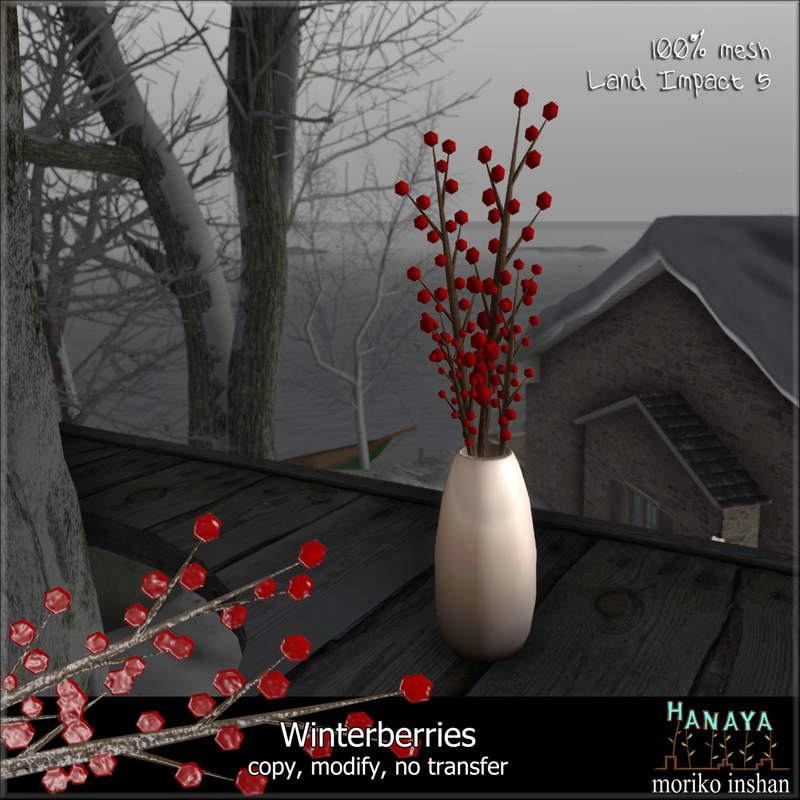 the -Hanaya- VIP group gift was sent out on the group the other day, and remains available at our in-world store, directly beside the re-delivery terminal. 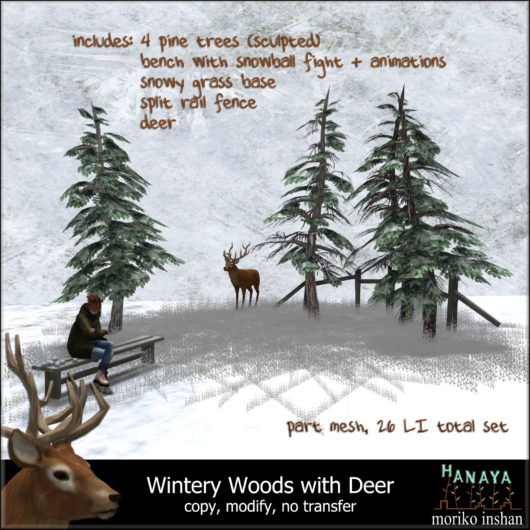 This entry was posted in Freebies and Gifts, News on December 1, 2013 by moriko.